A long press day for her show “Power” on Starz calls for a ton of makeup, but actress Lela Loren can’t sleep with any trace of products on. 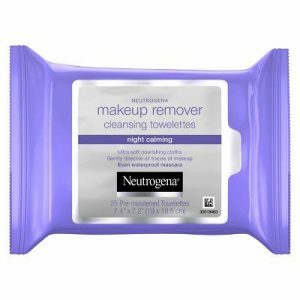 “The first thing I always use is these wonderful Neutrogena wipes,” she says. “I have stacks of these at home.” She goes through two or three wipes a night just to get her makeup off, then it’s time for cleansing. Because she uses so many anti-aging products in her routine, Loren doesn’t need a traditional moisturizer. Instead, she mixes a tiny dab of the Tata Harper Resurfacing Mask with a few drops of a Calendula oil to create a super-hydrating overnight treatment. Watch the rest of Loren’s skin routine above, then catch season five of “Power” on Starz. For more videos from our Go to Bed With Me series, head over to BAZAAR’s YouTube page.